PLEASE NOTE: You will need to bring your own towels & bedding (sheets, blankets, pillowcases), or you may rent a bedding package from Camp Casey for $10/day, and/or a towel package for $5/day. OTHER THINGS TO BRING: Camp Casey is located both on the beach and next to a wooded glen with roads & trails perfect for hiking & biking. There is also a large grassy play field in the middle of the campus, so be sure to bring your hiking/walking shoes, bikes, beach combing supplies, or any other fun activity items (footballs, frisbees, soccer balls, kites, luminescent string, etc) for some outdoor fun! 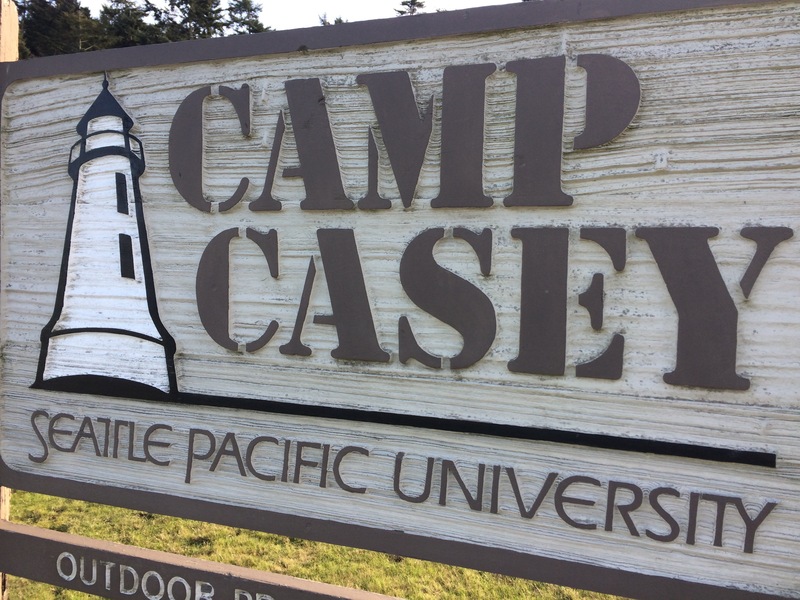 Camp Casey policy kindly requests: No pets; No smoking; No drugs or alcohol while on campus. Smoking is allowed on State Park lands immediately adjacent to the campus. Exit off I-5 at the Anacortes/ Whidbey Island exit (#230) and continue across Deception Pass onto Whidbey Island (a great place to stop and take pictures off the bridge). Continue straight through Oak Harbor to Coupeville. At the pedestrian overpass and traffic light, turn south (right) on South Main. Follow signs to Fort Casey State Park. You will arrive at Camp Casey Conference Center before reaching the state park. Exit off I-5 at Highway 525 West (exit #182) which will take you to the Mukilteo ferry. Take the ferry across the Sound to Clinton on Whidbey Island. From Clinton, travel North 22 miles on Highway 525. Turn left at sign for Fort Casey State Park. Continue past the Keystone Ferry until you see the Camp Casey Conference Center sign. Alternatively, you can bypass the ferry and keep heading north to take the Deception Pass Route (See "Directions if coming from the North" above). At times, this can be faster than the ferry. Just be sure to check your Google Maps for traffic to see if the roads are clear first. SCHEDULE: Ferries run approximately every half hour from Seattle <-> Whidbey Island. CLICK HERE to go to the WSDOT Ferry schedule webpage for sailing times. FARES: Both Passenger and vehicle/driver fares are collected at Mukilteo, while only vehicle/driver fares are collected at Clinton (i.e., passengers are charged only one way, from Seattle to Whidbey Island). CLICK HERE for more information about fares on this route. SCHEDULE: Ferries run approximately every hour and half from Port Townsend <-> Whidbey Island. CLICK HERE to go to the WSDOT Ferry schedule webpage for sailing times. FARES: Both Passenger and vehicle/driver fares are collected at Port Townsend, while only vehicle/driver fares are collected at Coupeville (i.e., passengers are charged only one way, from Coupeville to Port Townsend). CLICK HERE for more information about fares on this route.